Fill existing user home directories. Add the package to Autorun data. 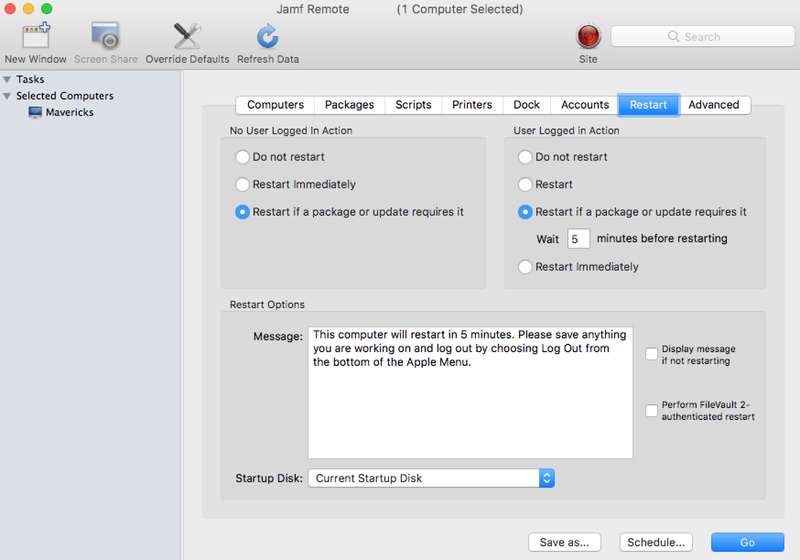 There are two ways to install a package on computers: using a policy or using Jamf Remote. Note: You can also install packages during imaging. For more information, see Configurations. 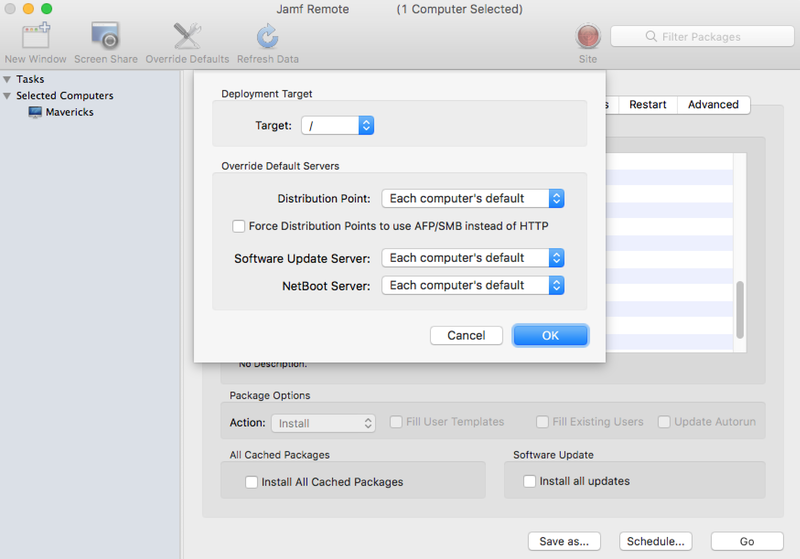 To install a package on computers, the package must exist on the distribution point you plan to deploy it from and in Jamf Pro. For more information, see Managing Packages. Click Add for the package you want to install. Choose "Install" from the Action pop-up menu. In the list of computers, select the checkbox for each computer on which you want to install the package. 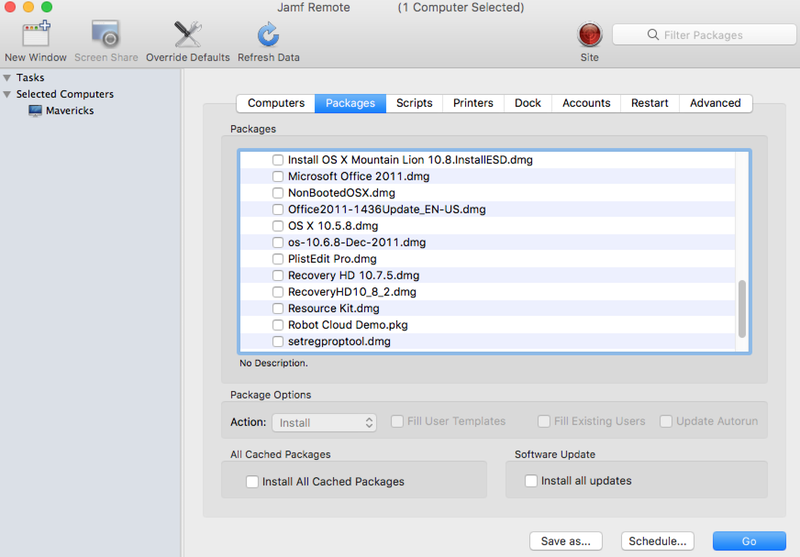 In the list of packages, select the checkbox for the package you want to install. 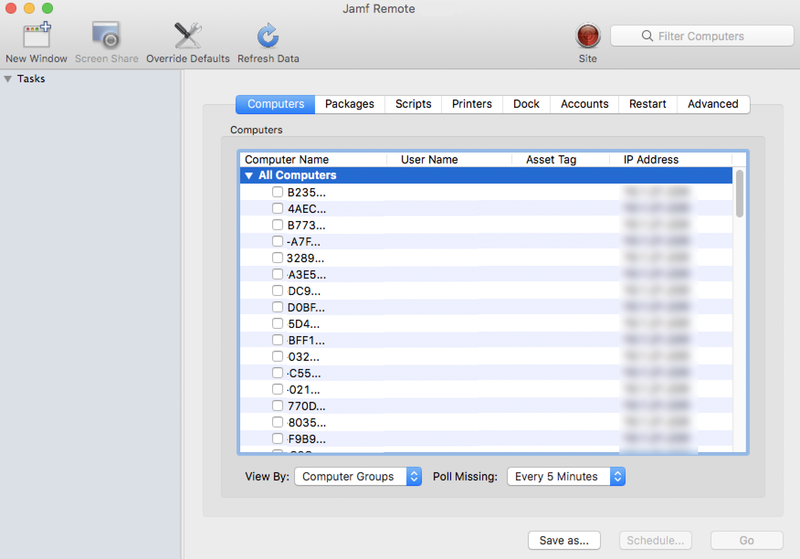 Find out how to install packages on computers during enrollment with Jamf Pro using a PreStage enrollment.